Only Watch comes around every two years, recruiting watchmakers to create one of a kind watches that will be sold to fund medical research. 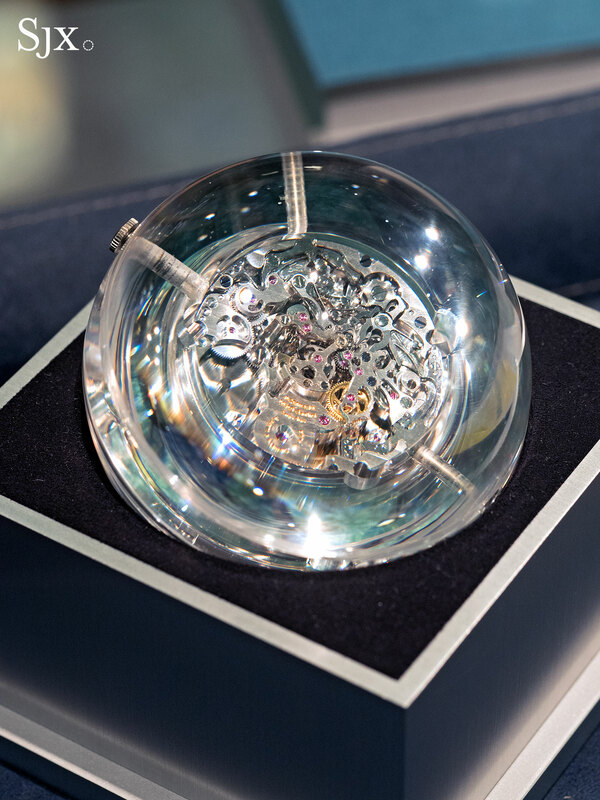 This year Only Watch takes place under the aegis of Christie’s in Geneva, with 50 lots slated to go under the hammer. As is usual with Only Watch, the variety of the offer is high, but the appeal varied. Watchmakers like Breguet and F.P. Journe put together genuinely unique watches, while Richard Mille offers a letter of support published in the catalogue, while Dewitt is leaving the dial design of its entry to the buyer (which is probably bad news for its aesthetic sensibility). For various reasons Only Watch 2017 might be the last, and the top lot will help it go out with a bang. That will undoubtedly be the Patek Philippe ref. 5208T in titanium, a distinctly modern looking grand complication that’s extremely complex and mildly sporty. 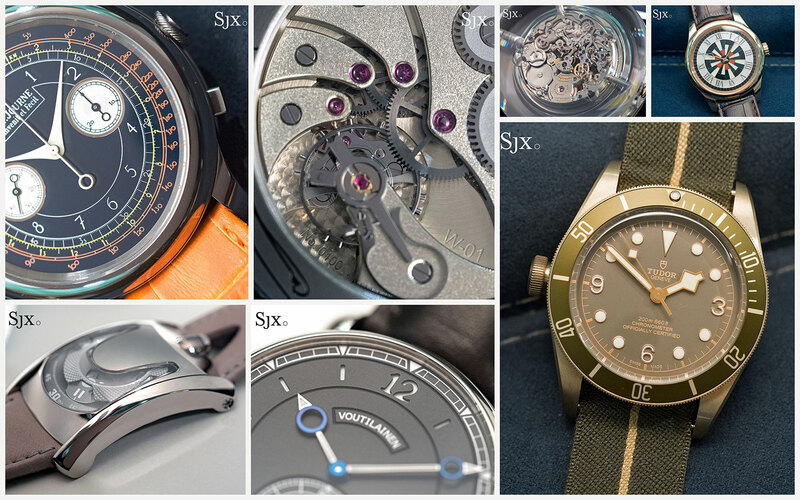 But the catalogue includes several arguably more interesting, and more affordable timepieces – here’s a look at eight of them. All lots in Only Watch are sold without buyer’s premium and with no reserve. Proceeds from the sale will go towards funding research into Duchenne muscular dystrophy. 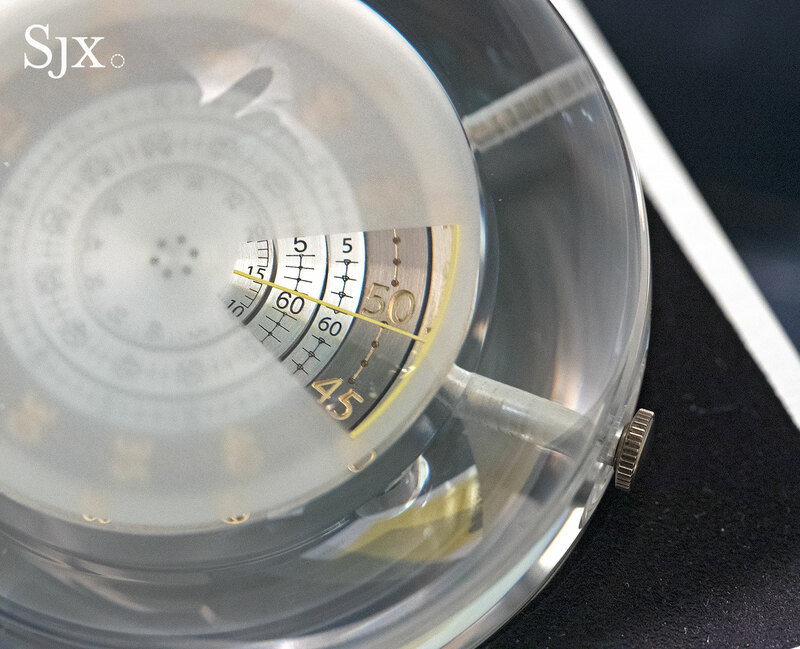 This is a chronograph table clock, a large, 84mm plastic sphere containing the cal. AGH-6361. But it’s not ordinary movement, being arguably the most ingenious chronograph developed in recent years, the very same on inside the Singer Reimagined Track 1. The product of Geneva complications specialist Agenhor, led by Jean-Marc Wiederrecht, the calibre displays elapsed time on the central axis. On this table clock the two dark grey outer discs show the time, while the silver inner discs indicate elapsed hours, minutes and seconds. 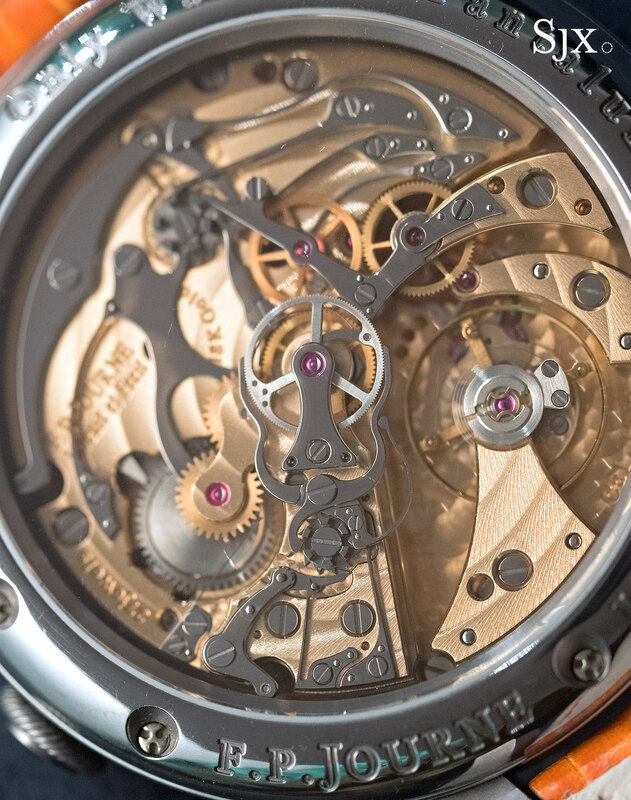 More notable than the condensed display is the clever construction of the movement, which is essentially a donut-shaped base calibre with the chronograph bits in the centre. 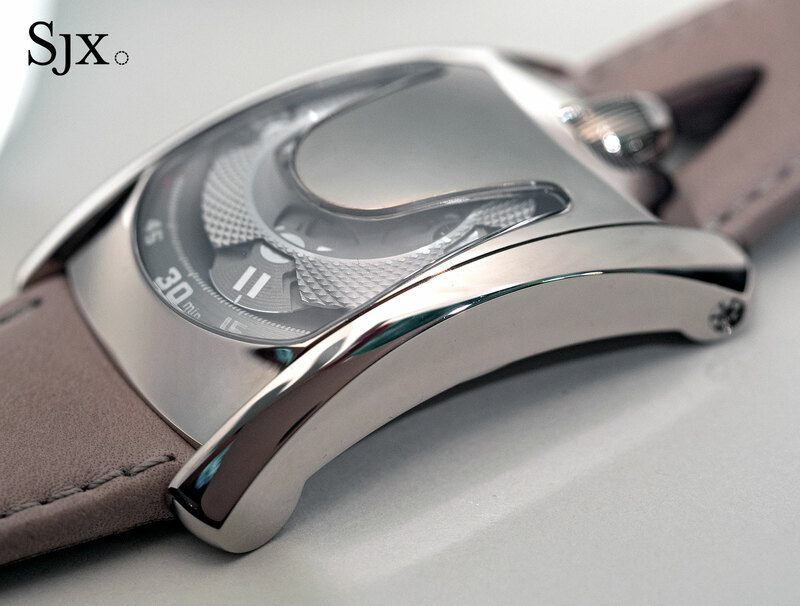 Boasting several patents for details like the teeth profiles and a tooth-free clutch, the movement is also visually impressive. It’s dense, complex and also finishing to the criteria of the Poincon de Geneve, though it does bear have the hallmark, not having been certified. The movement-in-a-ball concept was the brainchild of a pair of students pursuing watch design at Haute Ecole d’Art et de Design of Geneva (HEAD), the city’s school of art and design. Not the most practical of timepieces, but perhaps a case can be custom made? This one carries an estimate of SFr18,000 to SFr28,000. 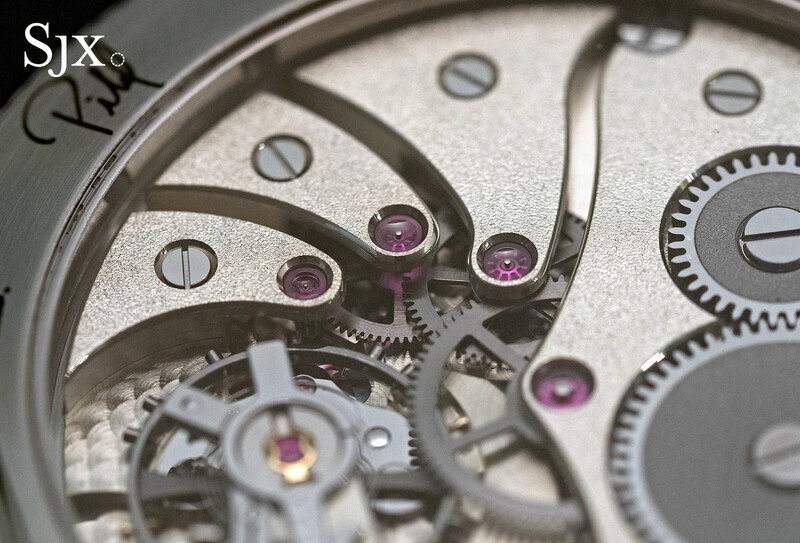 Short for “Watchmakers of Switzerland Training and Educational Program”, WOSTEP is Switzerland’s leading watchmaking academy and training programme, having produced several of the most prominent names in the business. 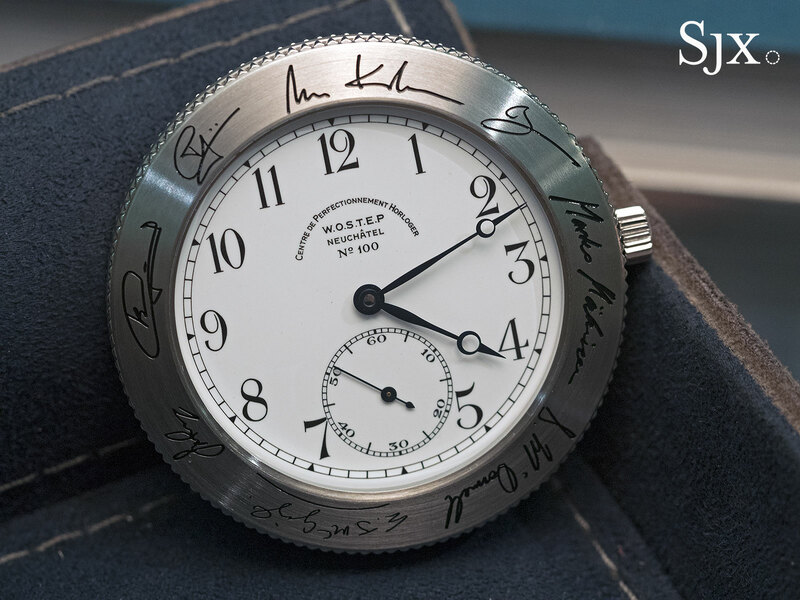 Several of its graduates have banded together to create the WOSTEP Watch, a pocket watch with its case signed by the alumni involved. 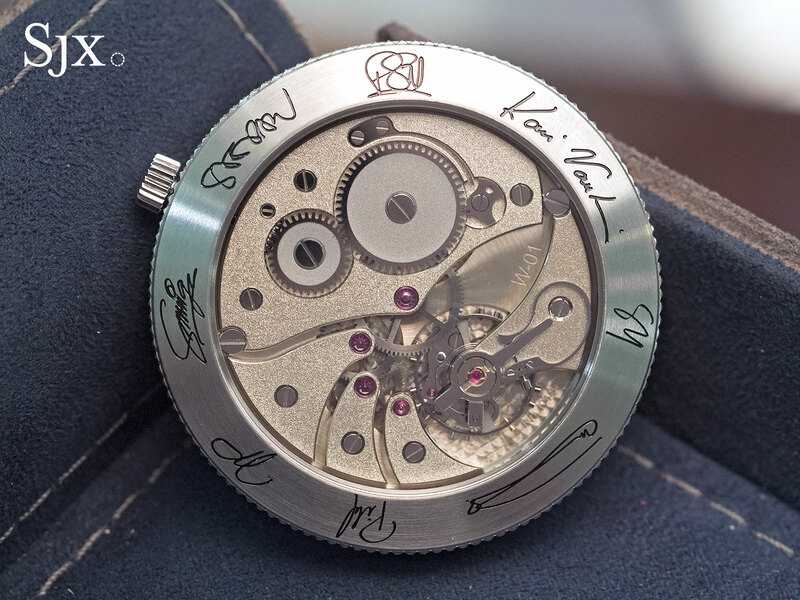 The names on the bezel and case back include several well known to aficionados of independent watchmaking, Stephen Forsey, Stephen McDonnell, Peter Speake-Marin and Kari Voutilainen. The watch itself is a 54mm steel pocket watch with a fired enamel dial and a wonderfully finished hand-wound movement that’s likely based on a Unitas. 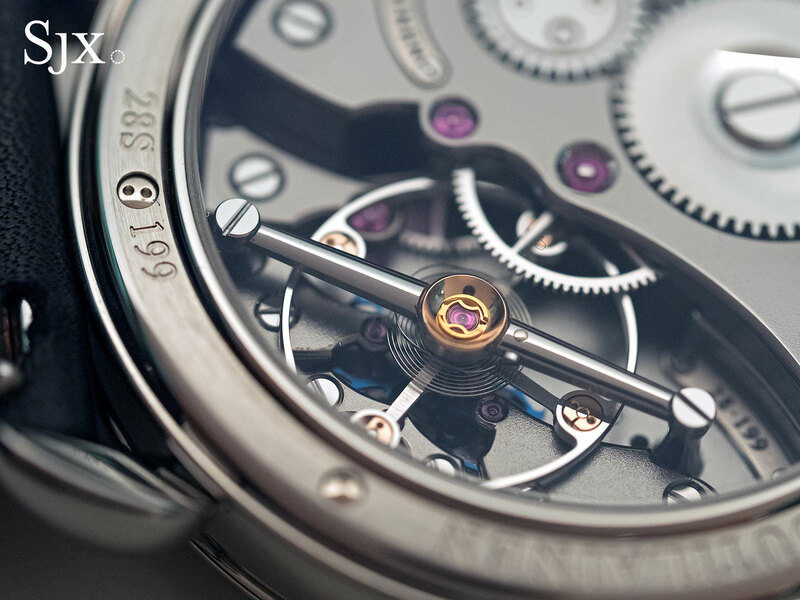 While the base calibre is entry-level, the movement has been elaborately dressed up with frosted bridges and even a black-polished pallet fork bridge below the balance wheel. Like the Agenhor sphere-chronograph above, the WOSTEP Watch is not strikingly practical, but again might be a candidate for a custom made case. The estimate is SFr12,000 to SFr22,000. 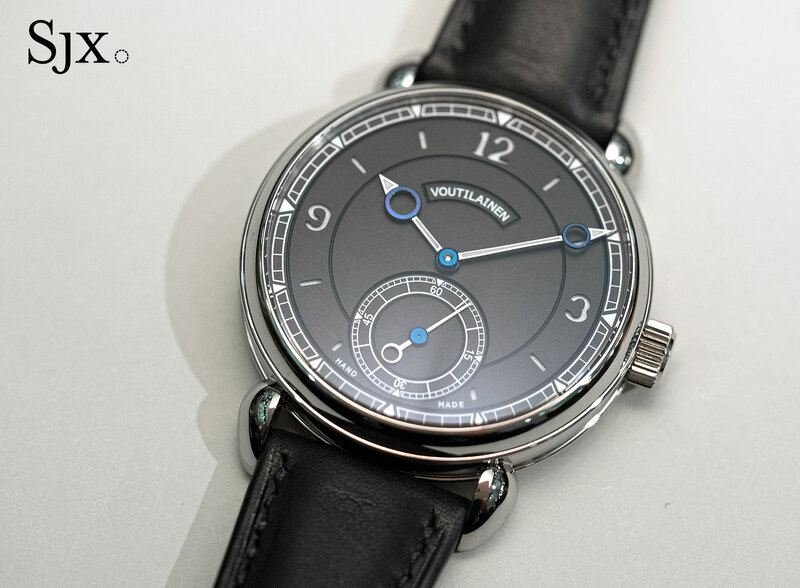 A variant of Voutilainen’s signature wristwatch, this is distinguished by the titanium case and sandwich dial (explaining the “S” suffix”). 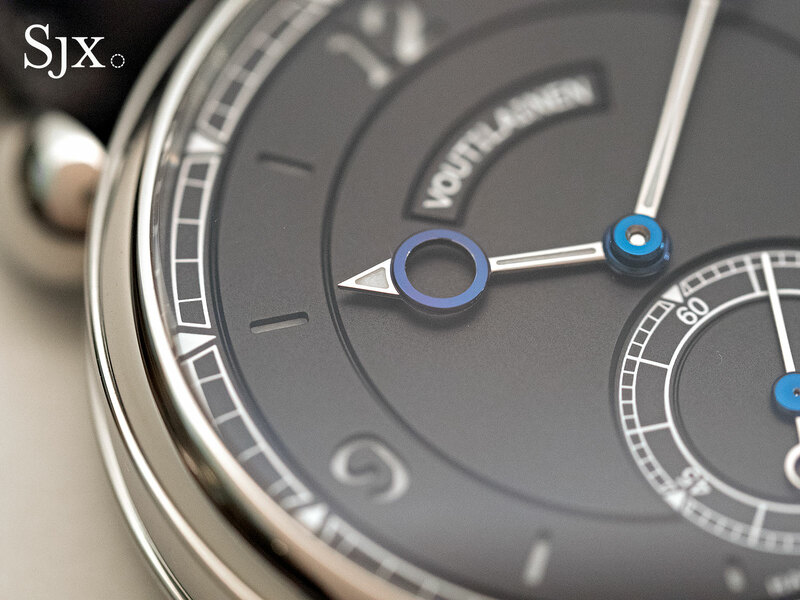 The 39mm case is polished titanium, an unusual but not unique case material for Voutilainen; it’s typically only used for its limited or one-off creations. 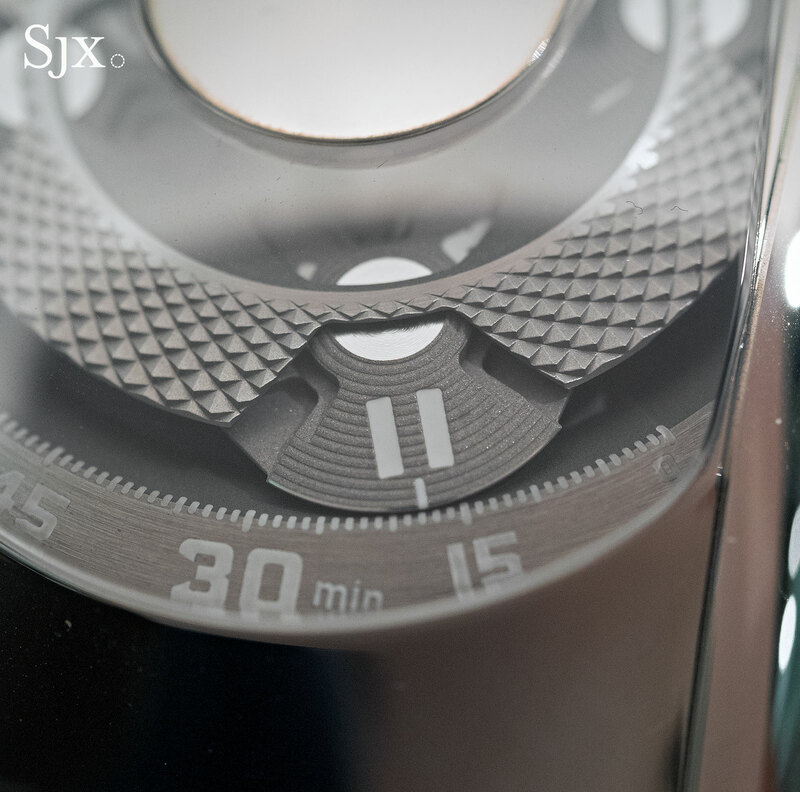 More unusual is the dial, which is solid silver and coated a matte black. The hour markers are actually cut-outs, revealing the white Super-Luminova beneath; the hands and minute track are also painted with Super-Luminova to match. A feature taken from vintage watches that bestows a slightly sporty touch, the sandwich dial is most often associated with Panerai but is sometimes found on other timepieces from the 1930s and 1940s. 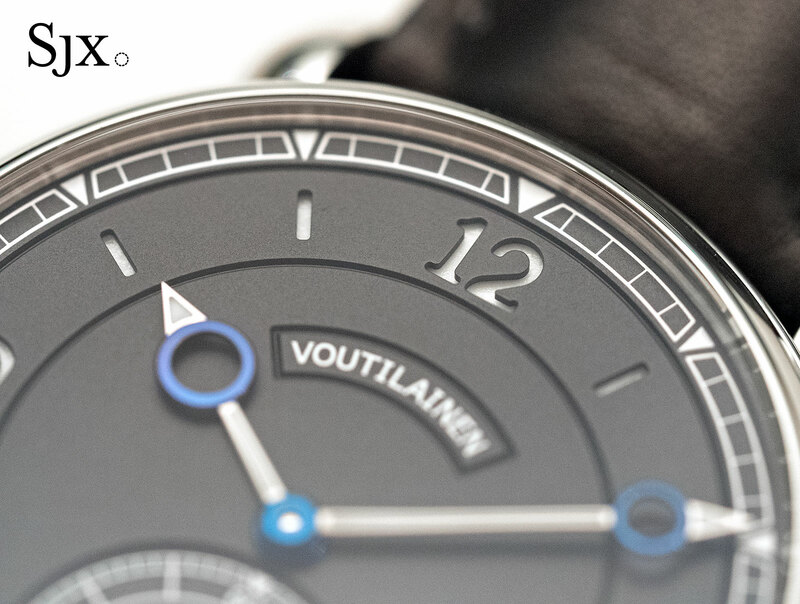 While the dial is a first for Voutilainen, it’s not likely to be the only one, since Voutilainen owns a dial factory. Inside is the Vingt-8 calibre that’s hand-wound and impeccably decorated, here finished with a dark grey ruthenium plating on the bridges. This has an estimate of SFr55,000 to SFr85,000. The last one-off Tudor for Only Watch sold for over US$300,000 in 2015, making it the most expensive Tudor ever. 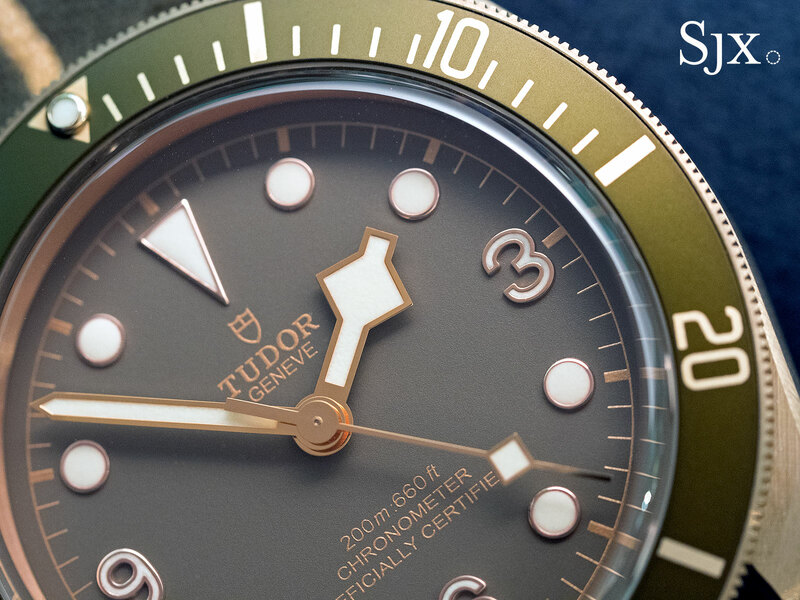 That result was partially due to the fact that the 2015 watch was the first ever unique wristwatch made by Tudor, giving it a tremendous novelty factory. The new Black Bay Bronze One is arguably more interesting than its predecessor, but being the second instalment, might not fetch quite so high a price, though it will inevitably reach six figures. 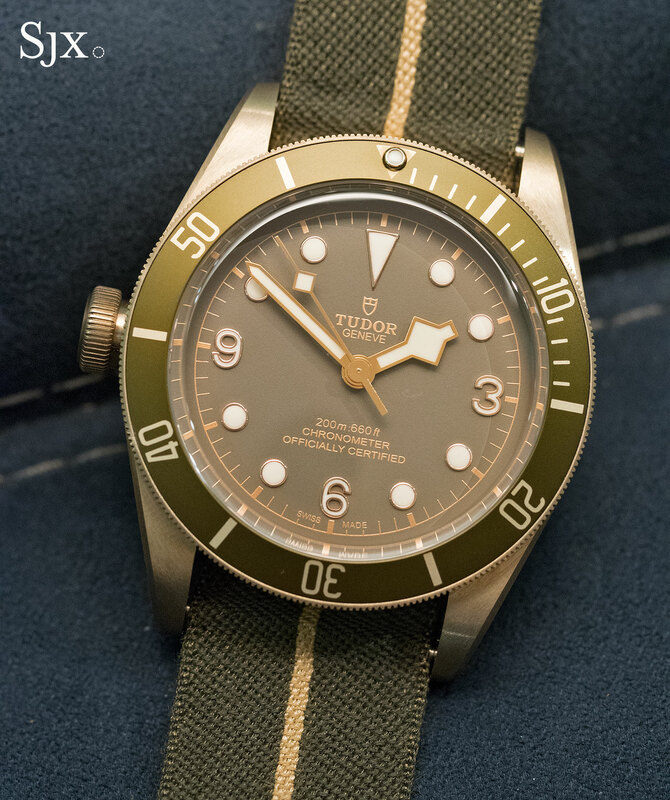 It’s a left-handed take on Tudor’s popular bronze dive watch, which is ordinarily brown but recently made in a blue special edition, here matched with a military green dial and bezel. The colour combination is not admittedly novel, but it is an attractive look. Most of the rest of the watch is identical to the stock model, but the winner of the Bronze One gets an air ticket and invitation to visit Tudor’s headquarters in Geneva (which is actually inside the Rolex facility). The estimate is SFr4500 to SFr5500. 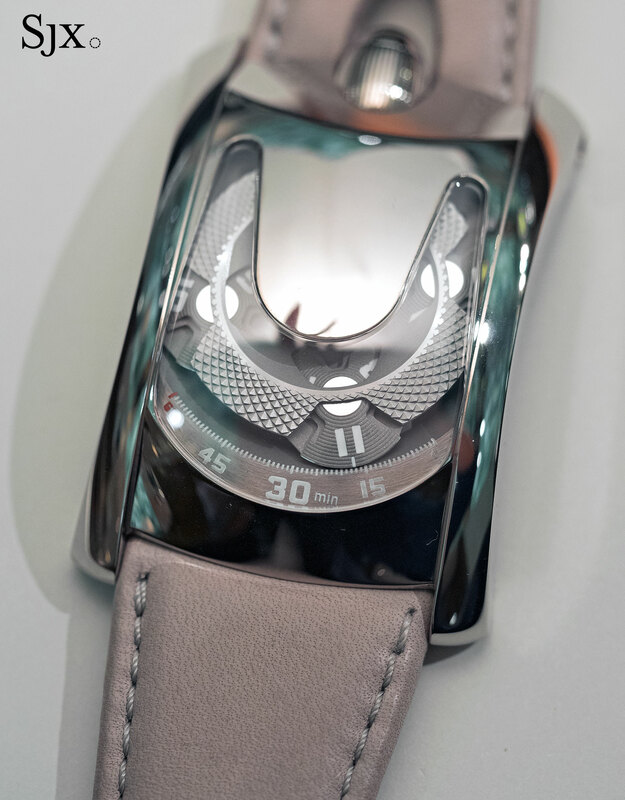 The Arpal One is essentially an Urwerk UR-105 dressed up in a case designed by Laurent Ferrier. Unsurprisingly, the case is sleek with rounded corners, and reminiscent of the soft forms of the signature Laurent Perrier Galet case (galet translates as “pebble”). The watch is powered by the Urwerk cal. UR5.03, an automatic with a wandering hours display in the form of four satellite discs, while the case is made of Arpal+, a white gold alloy that’s harder than normal. But because it is a UR-105 at heart, the resulting watch is extremely large. Already sizeable in the original case, the Arpal One is even larger due to the extended brancards on each side of the case that extend into large lugs. The case measures some 60.8mm long and 40.9mm wide, making it substantially larger than the Urwerk it is based on. Perhaps the second most expensive lot in the auction after the titanium Patek Philippe “grand comp”, the F.P. 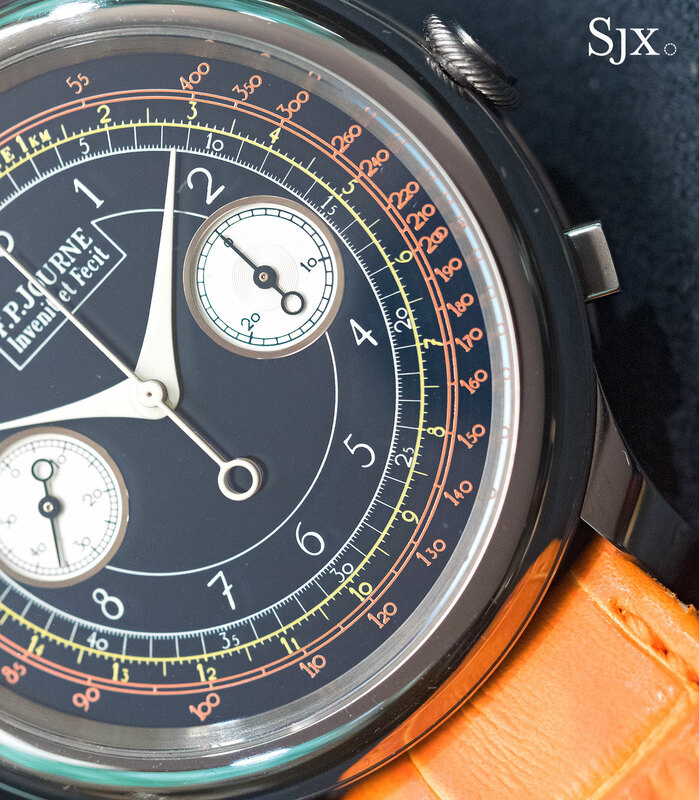 Journe split-seconds chronograph is unlike any other watch the brand has made. To start with, the cal. 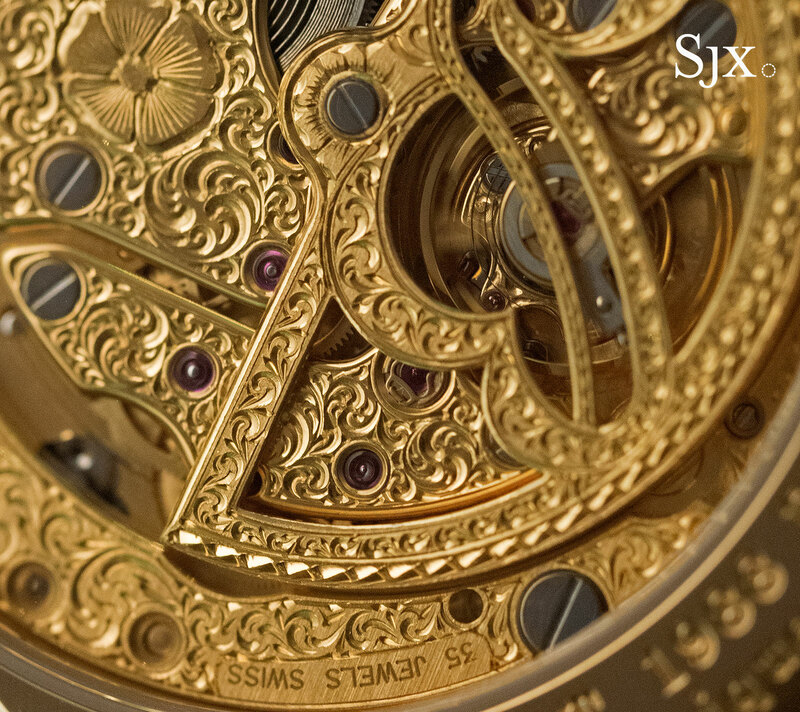 1517 inside is entirely new and developed for this Only Watch creation. 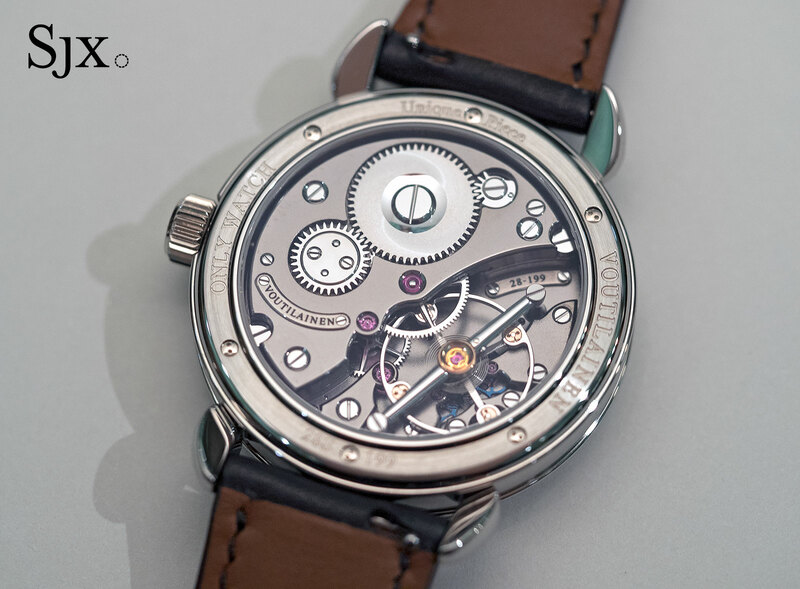 A large 15 ligne calibre, it’s hand-wound with an 80-hour power reserve and constructed quite traditionally. It’s also a monopusher chronograph, with the button at two for start, stop and reset, while the second button at four o’clock is for the split-seconds. 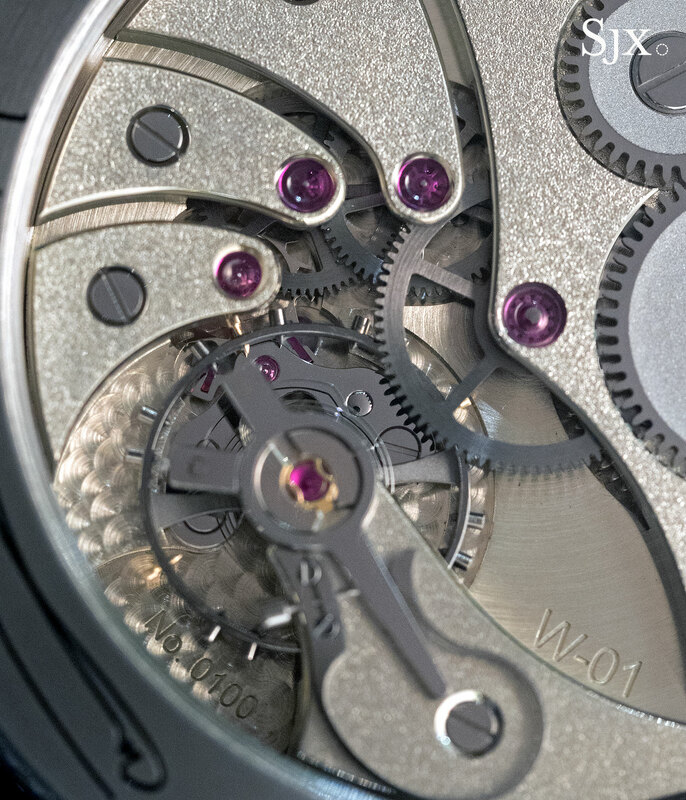 While the watch is a one-off creation, it is probable that some variant of the movement will make it into serial production at a later date. 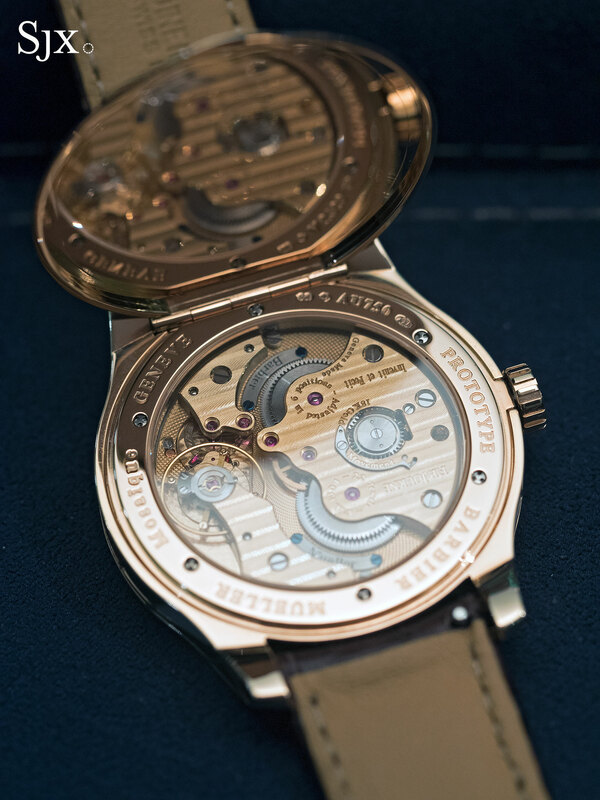 The 44mm tantalum case is also a first, being the largest case F.P. Journe has ever made. 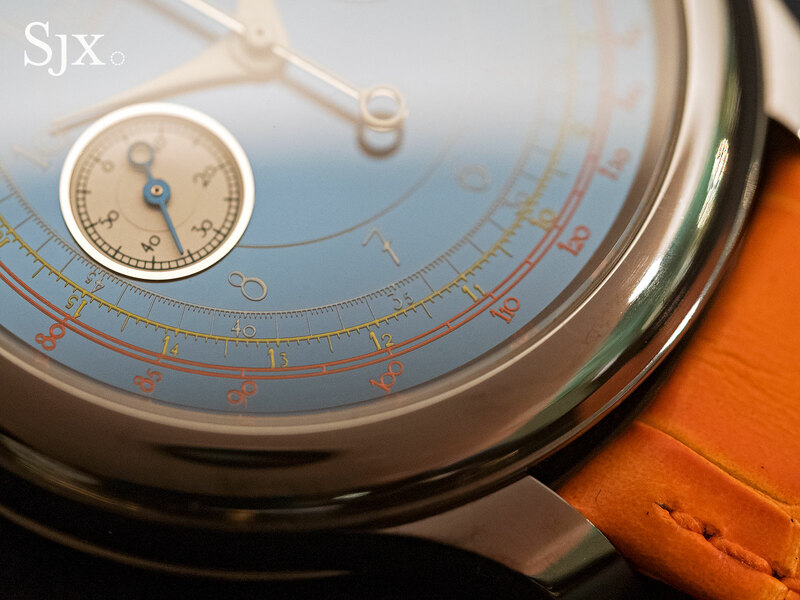 The same can be said of the brilliant blue dial, which has a similar treatment to the Chronometre Bleu, but here with tachymetric and telemetric scales in yellow and orange. Because the dial is so large, the chronograph sub-dials feel noticeably small. Taken together the various elements of the watch give it a look that’s significantly more obvious than the average F.P. 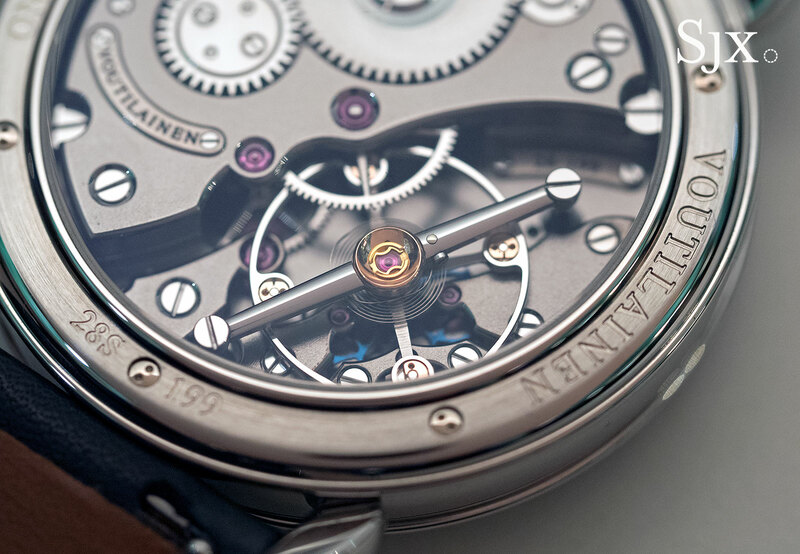 Journe timepiece. The reason for the unusual styling might be that there are only a handful of clients who will pay top dollar for such a watch, and the watchmaker is perhaps catering to their tastes. This carries an estimate of SFr200,000 to SFr400,000. The Breguet linear perpetual calendar is an underappreciated watch, having been discontinued several years ago with no one noticing. What sets it apart from other perpetual calendars is the in-line display, which gives the dial a pleasing symmetry and conciseness usually lacking in perpetual. Unlike other perpetual calendars with simplified displays the linear perpetual is neither windows-based nor condensed, in other words it indicates all elements of the calendar. While the original linear perpetual was a smallish 36mm, the Only Watch version is 39mm, making it eminently more wearable and also distinctly different from the stock model. 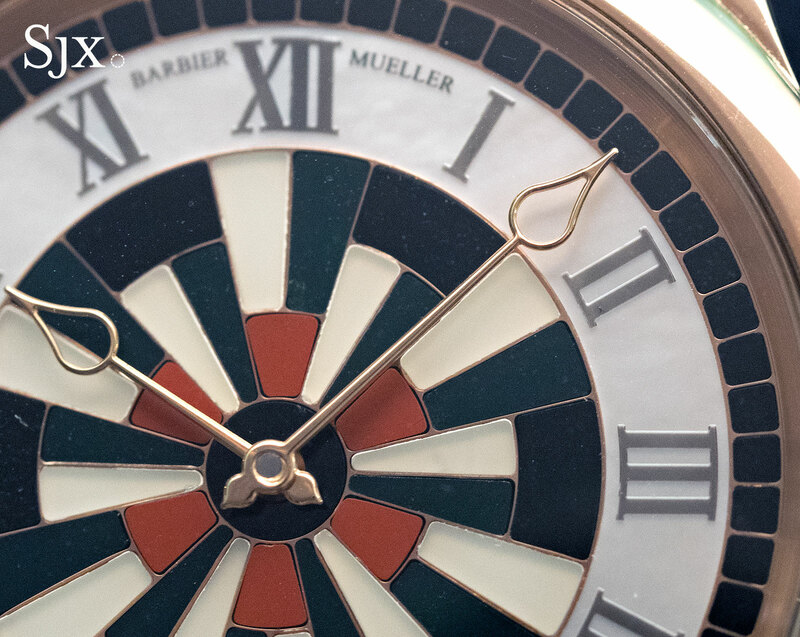 The indications for the calendar have been enlarged – even the day of the week disc is bigger – to suit the scale of the case, which leads to a minor overlap between the month and date display. It doesn’t detract from the look, but the original model had no overlap at all. And the cal. 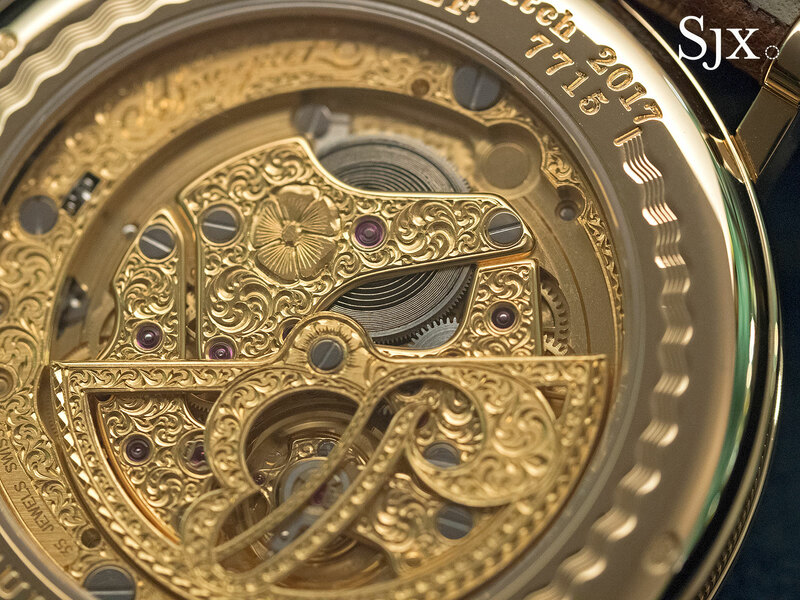 502QPLT inside is not the basic version of the calibre, instead it is fully and elaborately engraved. 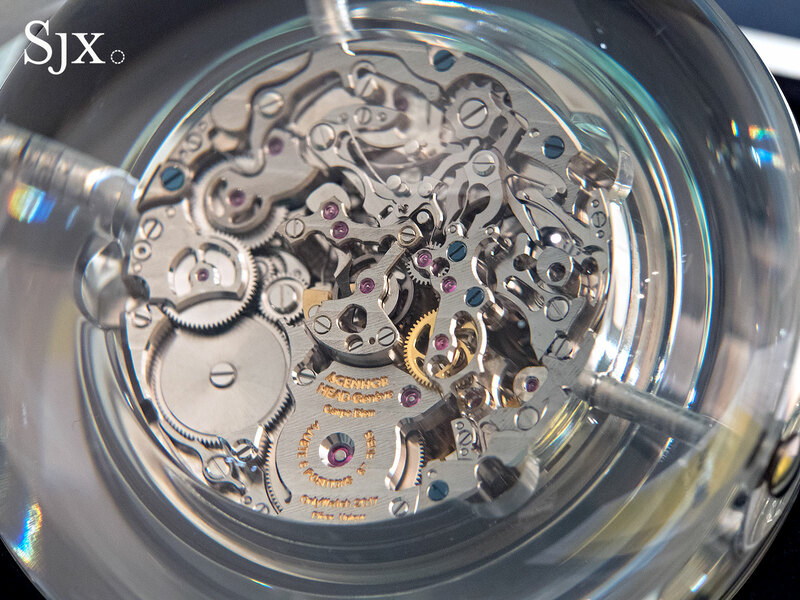 Unlike the movement in the original model, this calibre also has a silicon hairspring and pallet fork. 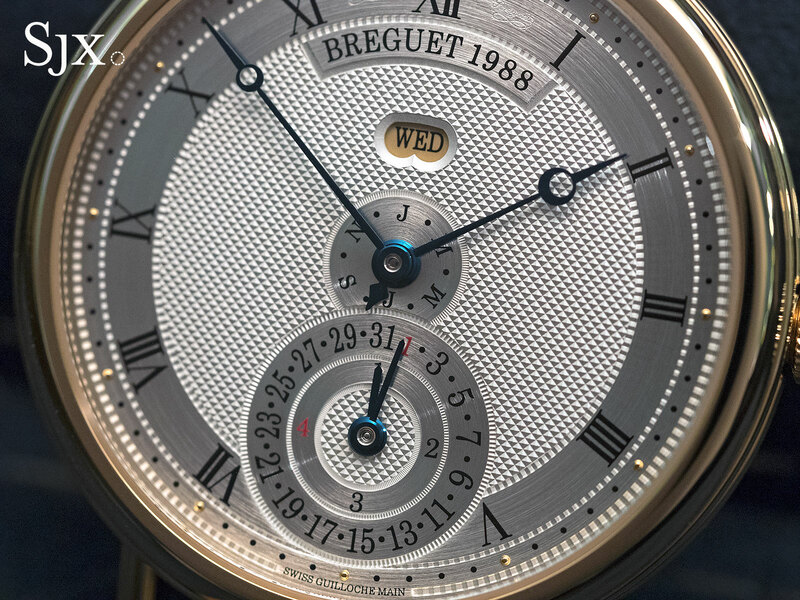 Though a unique piece the style of the watch is typically Breguet, with a fluted case band, thin lugs and a hobnail guilloche dial that’s actually silver-plated solid gold. 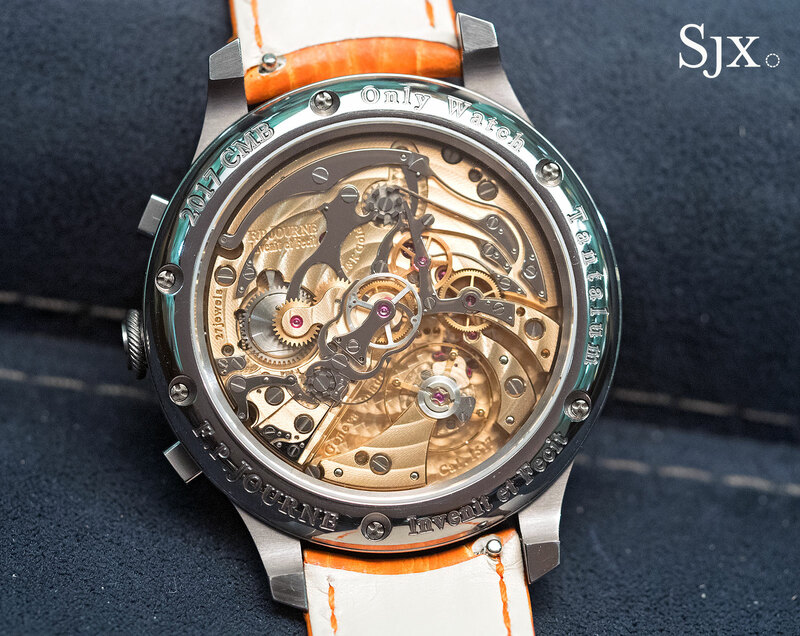 Perhaps the only downside to the watch is the hefty estimate of SFr80,000 to SFr100,000. Made entirely by F.P. 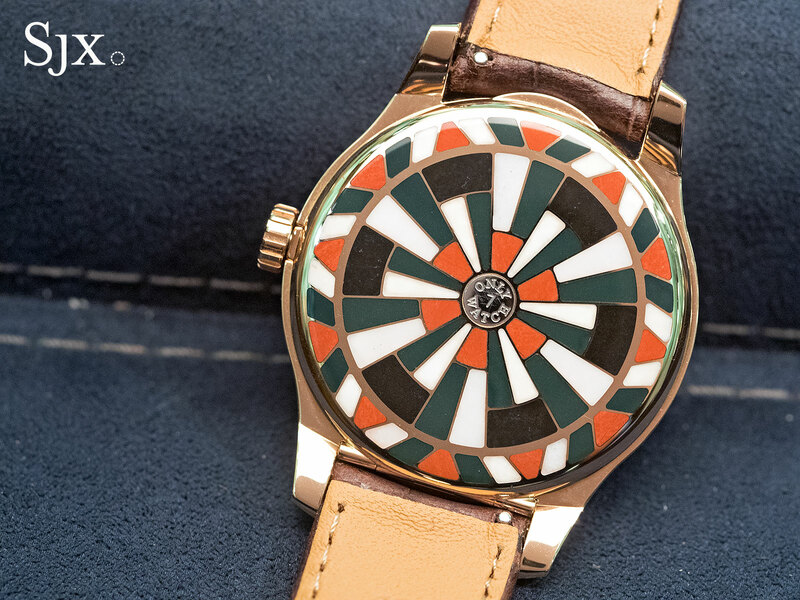 Journe, the Barbier-Mueller Mosaïque is named after one of Geneva’s most prominent families, wealthy real estate owners whose discerning eye for tribal and primitive art led to the world class Barbier-Mueller Museum. 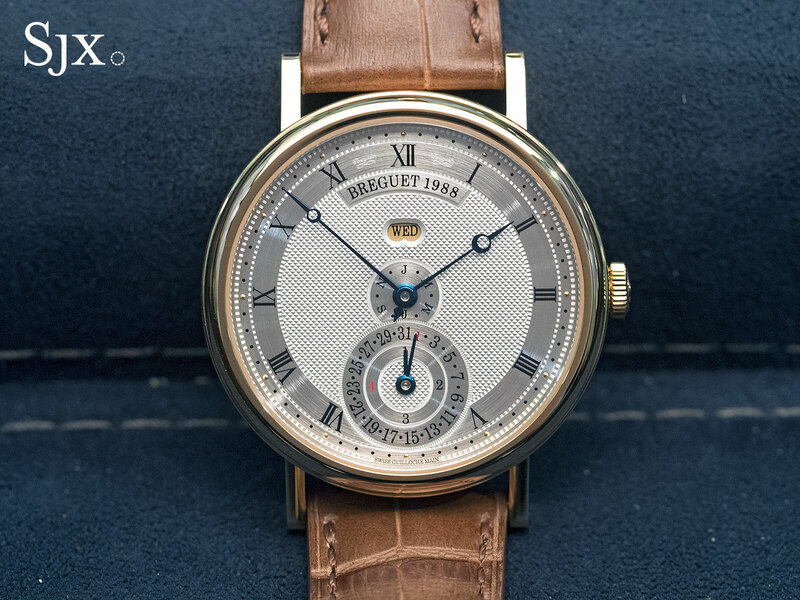 It was born from a request by Stephane Barbier-Mueller, followed by a suggestion from Francois-Paul Journe to base it on a 19th century mosaic inlay pocket watch. The Mosaïque is actually an F.P. 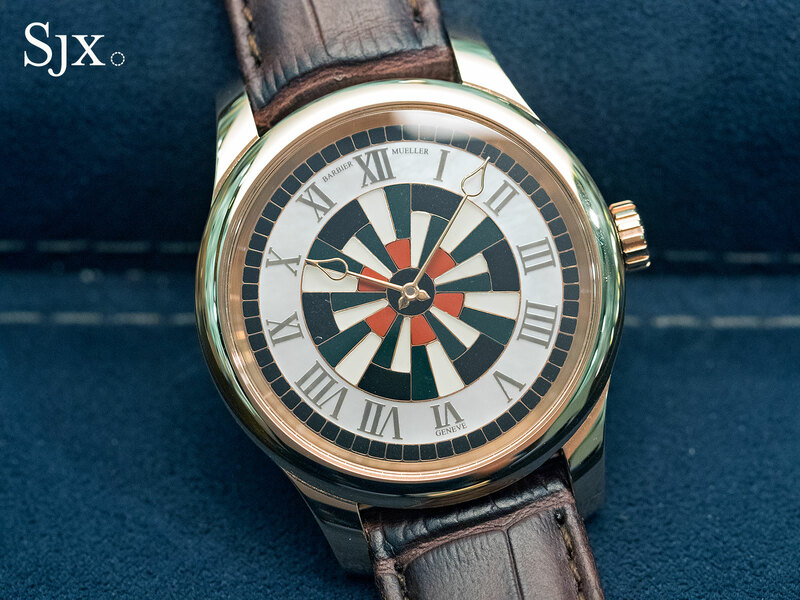 Journe Chronometre Souverain in disguise, having the same hand-wound movement, but with the rose gold case and dial tiled in semi-precious stone. More than 250 tiny pieces of red, black, white and green jasper cover all surfaces of the watch, even the flanks of the case and hinged back. 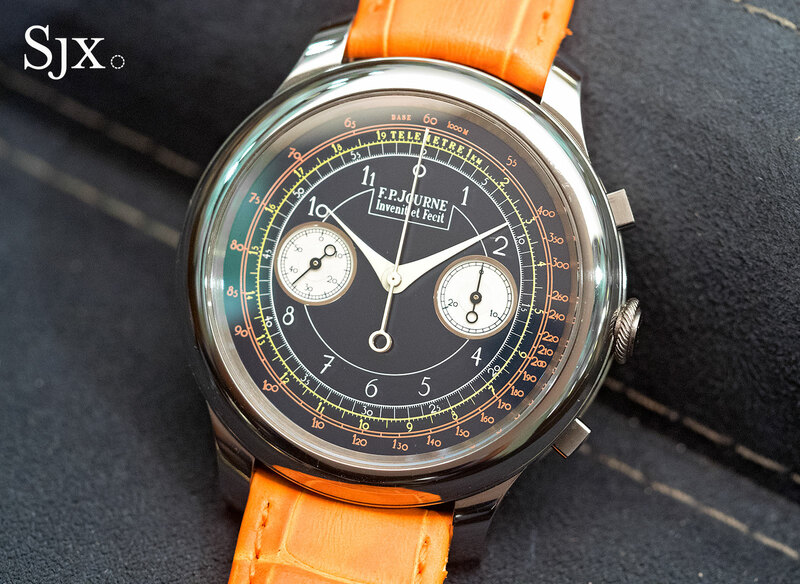 According to Francois-Paul Journe, the case and dial were extraordinarily difficult to construct, the most difficult he has encountered in his career. To accommodate the stone mosaic the case is slightly larger than the Chronometre Souverain, measuring 41mm in diameter and also higher. While not a unique piece, only a handful will be produced, with several going to members of the Barbier-Mueller family. This is estimated at SFr110,000 to SFr200,000. All lots will be on display from November 9 to 11 at the Four Seasons Hotel des Bergues in Geneva. The Only Watch 2017 auction takes place November 11, 2017 at the same venue. The full catalogue and online bidding is available at Christie’s.